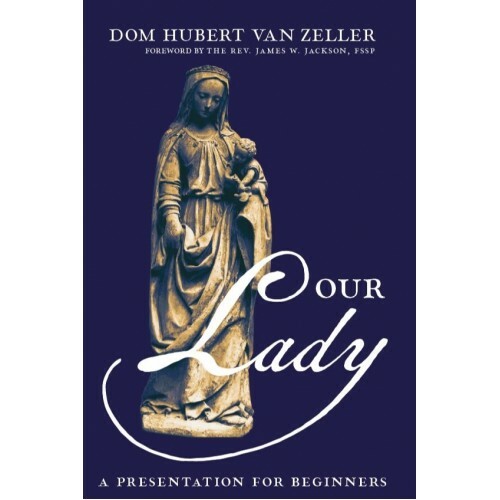 This is the second edition of Dom Hubert van Zeller's short commentary on the Hail Mary which was part of his "In Other Words" series. Originally published in 1963, it has long been out-of-print. Permission has been granted by Downside Abbey Trustees to republish this wonderful work. It features a new cover and is newly typeset featuring a foreword by Fr. James Jackson, FSSP, author of "Nothing Superfluous", an excellent book on the symbolism of the Rite of St. Gregory the Great or the Traditional Roman Liturgy. “When theology is placed in the hands of a master, something like Our Lady, A Presentation for Beginners results. And what respect he has for the subject! This is present in any of his works, and may be found in abundance in this work. Respect I would say, and yes, much love. Here is an author that loves the subject, and is as far from the technician in a lab coat with his dissecting tools peering at the frog as St. Joseph was when he first looked at his Betrothed.